Ah, the end of summer. I both hate to see it come, yet enjoy the change of seasons, all at the same time. This year feels like it brings a bigger change as Max will be heading off to Kindergarten (what? how did that happen so fast?). I enjoy the thought of getting a bit more time for sewing, but we’ll see how that goes. I have big plans to get unfinished quilts done, so hopefully it’ll actually happen! But this quilt. This one wasn’t one I was planning, which makes it all the better. As I mentioned, I enjoyed getting the chance to pick a bundle for the Stash Fabrics Design Star club. As a bonus, I received this bundle in the mail (thank you, Stash Fabrics! ), and felt that since it was the bundle for August, I should do my best to sew up a quilt top before the end of the month. I played around with the design for a while – having the little inner triangles face various different directions, and playing with the colors – and ultimately decided I liked the randomness of this layout. I cheated and added a couple extra solids to get this up to a larger size, but for the most part this is just the fabrics included in the fat quarter bundle. I already ordered the perfect backing (here, in case you’re wondering), and look forward to getting this one finished! 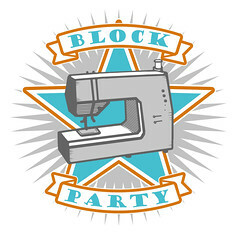 This entry was posted in Fabric, Posts about Quilts and tagged august quilt, fat quarter bundle, half square triangles, handmade, quilt top, stash fabrics design star. Bookmark the permalink. I’d love a tutorial for this one. The backing could not be more perfect! 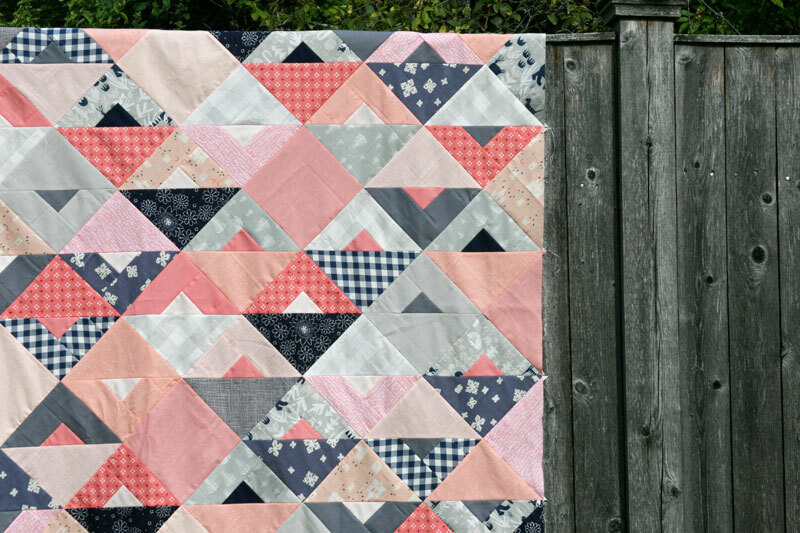 Love the colors and pattern of your quilt top. Absolutely inspiring. Such a beautiful quilt. Can’t wait to see the finish with the great backing. I love this quilt! Also, the memory loss is real… I’m sorry! I used to be able to do Math in my head but now I struggle remembering my facts! Lovely fabrics! 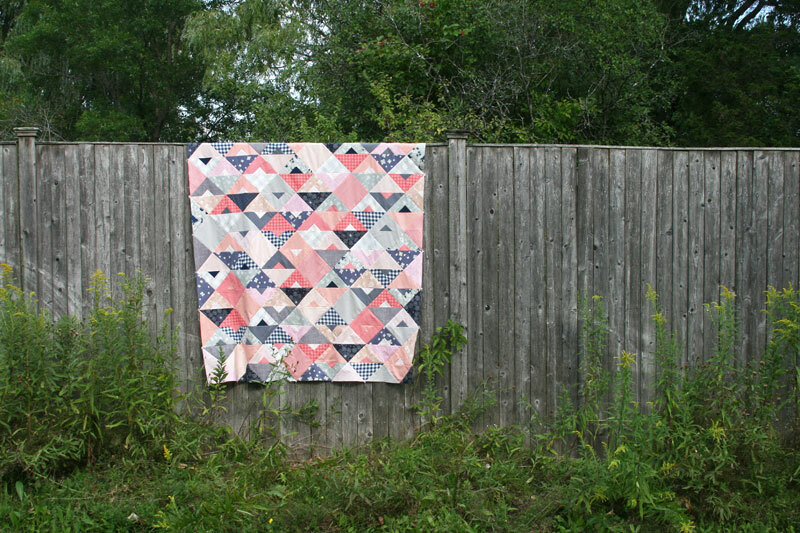 It’s very similar to Bijou Lovely’s Chromatic Quilt. Thanks for your comment – beautiful quilt, I’m not sure how I missed seeing that one earlier this summer! Terrific quilt from such a simple idea. That backing is gorgeous. Lovely design, would love to know how you did it! Yes, I really like this. Would love to see how. Will I ever make one? Probably not, but one can dream. Love this! A tutorial would be appreciated!!! My jaw dropped when I saw the backing fabric you had selected. It really is perfect. I would love love love a tutorial for this. It’s gorgeous! So pretty! You do such a great job of coming up with simple designs using patchwork with great shapes that pack a nice graphic punch. Great color combo and the backing is perfect! Kindergarten, oh my! Time does fly! YES….tutorial please. Really like this quilt. Thanks! 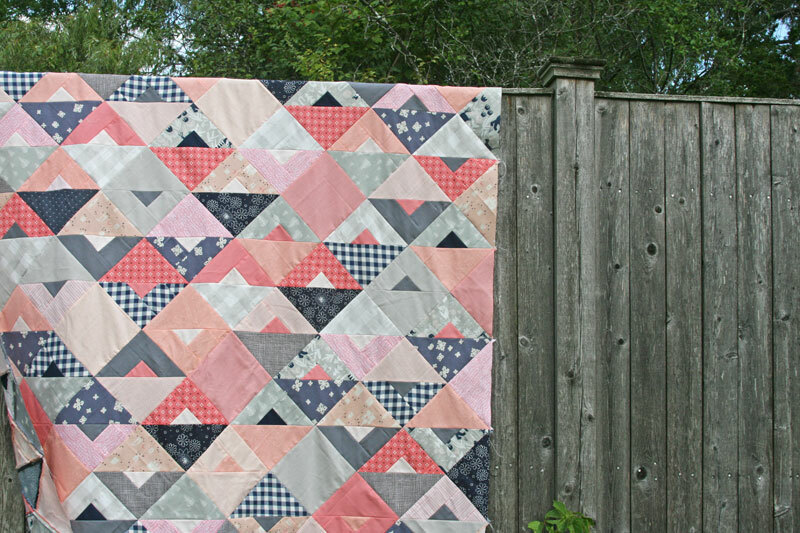 I super like this quilt and would love a tutorial. Thank you! 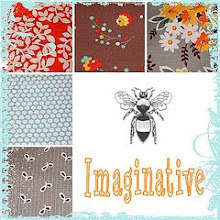 I love this collection of fabrics you made. Is it listed at Stash fabrics?? Id love a tutorial. You always have such clever ways of making something look intricate from a simple block design. These colours have inspired me and I’m browsing my stash to see how I can make it happen. Brain cell loss? What are brain cells? If I had any they’re gone now. I noticed a pattern on thepatchworkco.com that they claim to have designed and featured in a 2015 quilt sampler magazine. I mention this to you because it is exactly the same as one featured on your blog about 5 yrs ago. Are you associated with thepatchworkco? 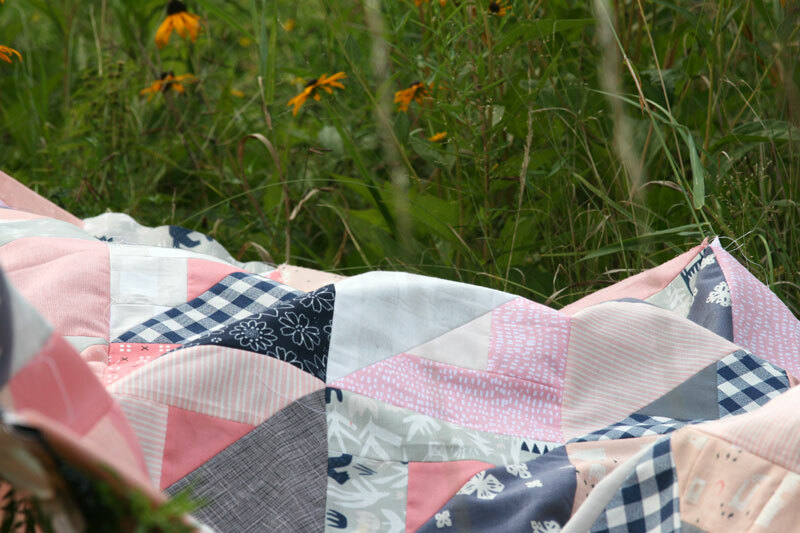 This is similar to the free Yuma quilt pattern from Gotham Quilts. Could that be your inspiration? oh, yes please to the tutorial!